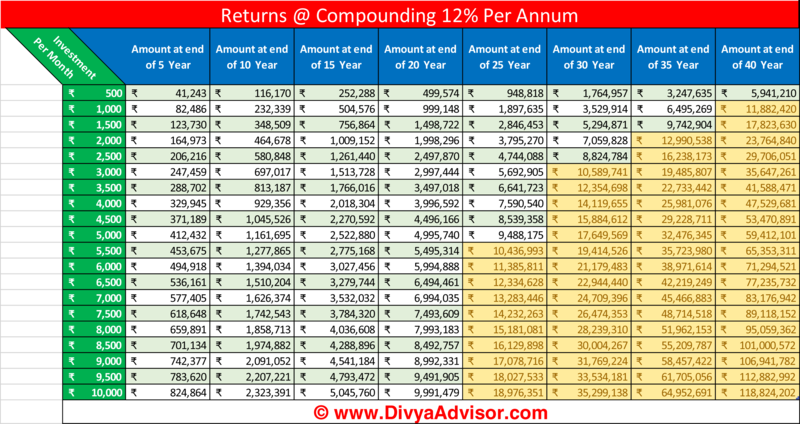 Invest to be a Crorepati! Most Indians dream of retiring Crorepati. 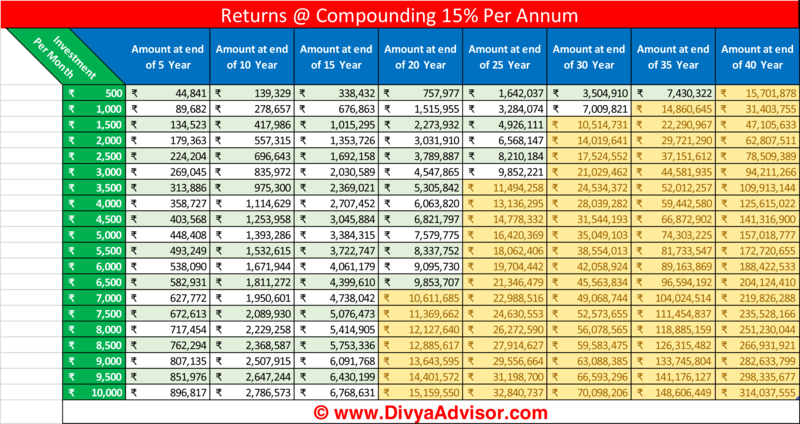 Assuming 15% of annual returns do you know a small investment of Rs 500 per month can accumulate to around 1.5 Cr by the time a 21 year old retires? Did you know small steps taken at a young age helps you retire rich. 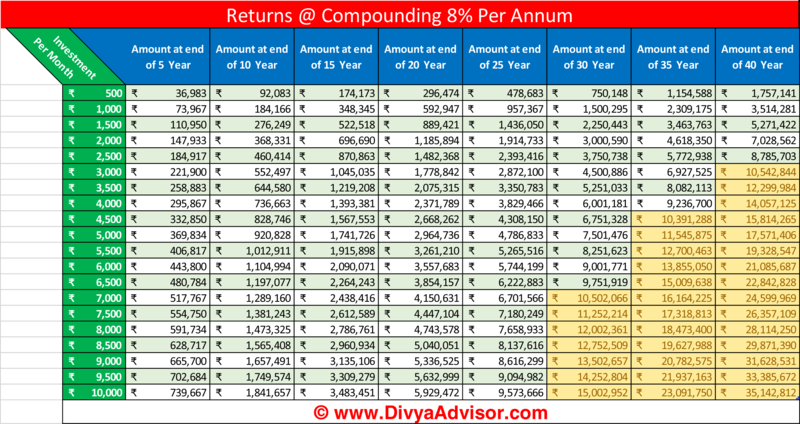 Here is a ready reckoner on how much you need to invest per month to retire a Crorepati. 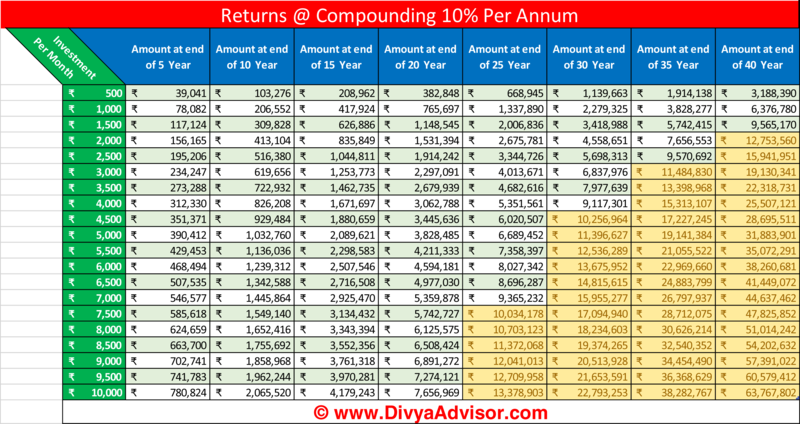 You can use the same table to calculate for your goals e.g child’s education after 15 years. Find the tables below to arrive at your investment amount. 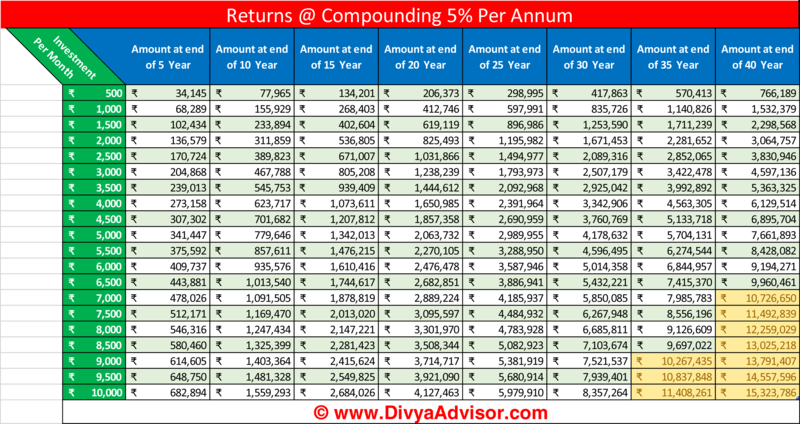 Now refer to the tables below and find your own Crorepati story. Click on image to get a larger view of the table. This post does not substitute a professional financial advise.Do not make an investment decision based on this post without consulting your financial advisor. Author will not be responsible for any loss or gain that you make on your investment after reading this post. Insurance is a subject matter of solicitation. For more details on risk factors, terms and conditions and exclusion please read the product brochure before conclusion of sale.